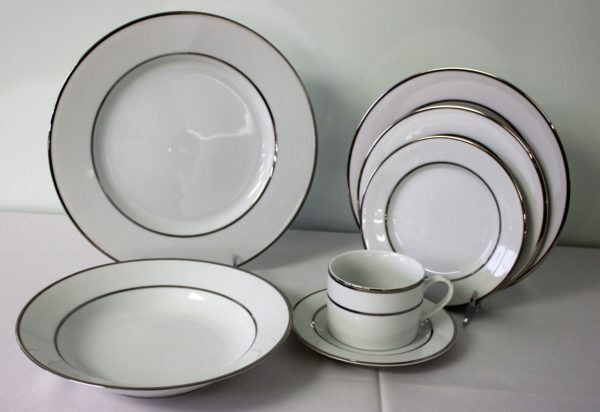 Renting your plates, glassware, and flatware helps provide style and ease for any event! Whether you are having a wedding or hosting a dinner party we have series to fit all styles. 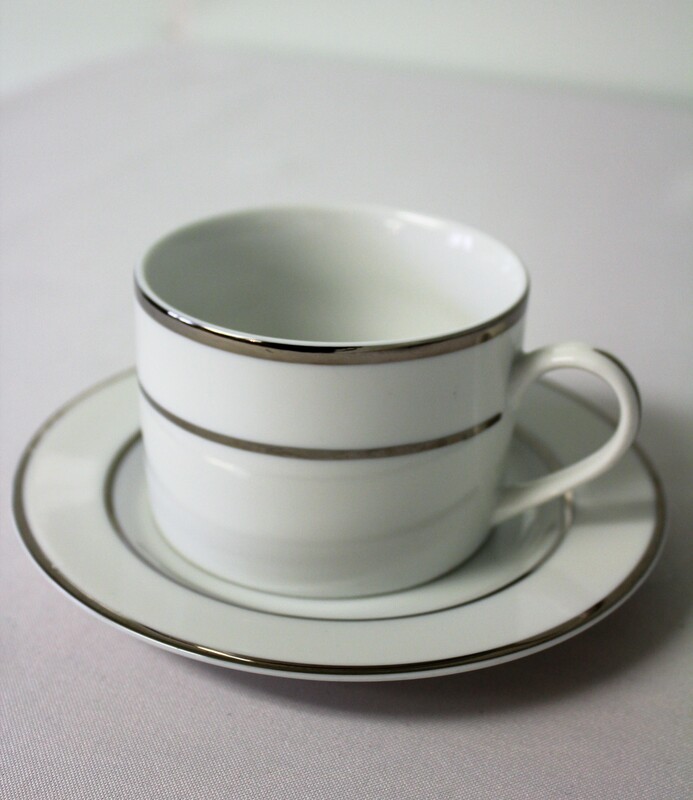 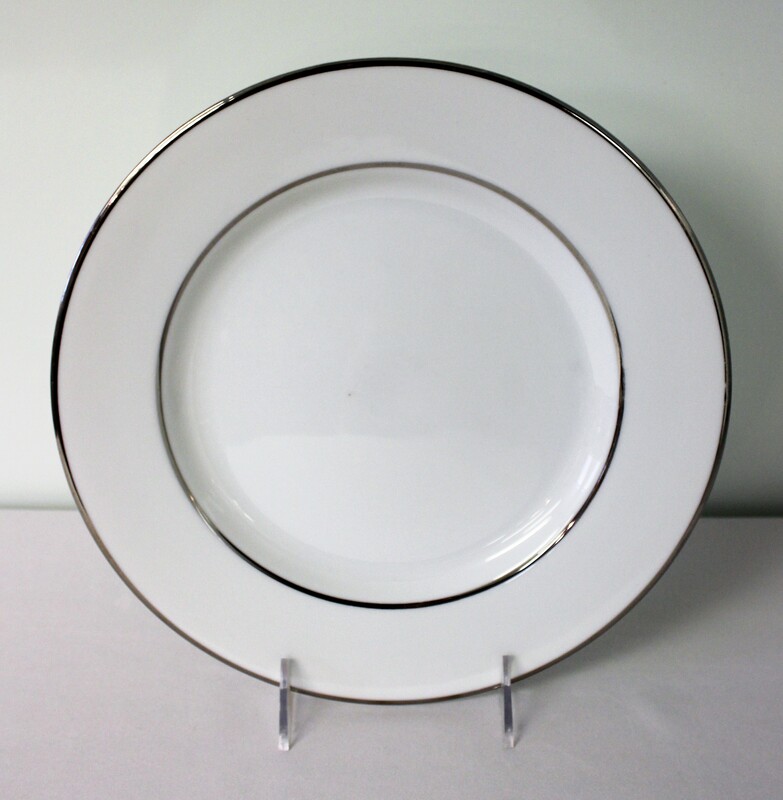 Our White with Silver Band china series provides an elegant look with the crisp silver bands around the rims.